This delightful Christmas wreath combines a pretty feminine design with the freshness of the Cascade forest. 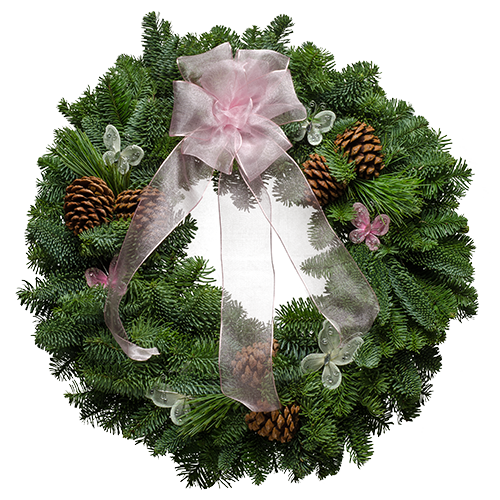 The wreath�s pink accents are symbolic of breast cancer awareness, and the aromatic evergreens a reminder of life, hope and healing. $1 of each sale goes to breast cancer prevention! "Thank you so very much for making my Christmas and that of my family and friends so special. I appreciate all you did to make it happen with your lovely Christmas Wreaths. Merry Christmas and Happy New Year."